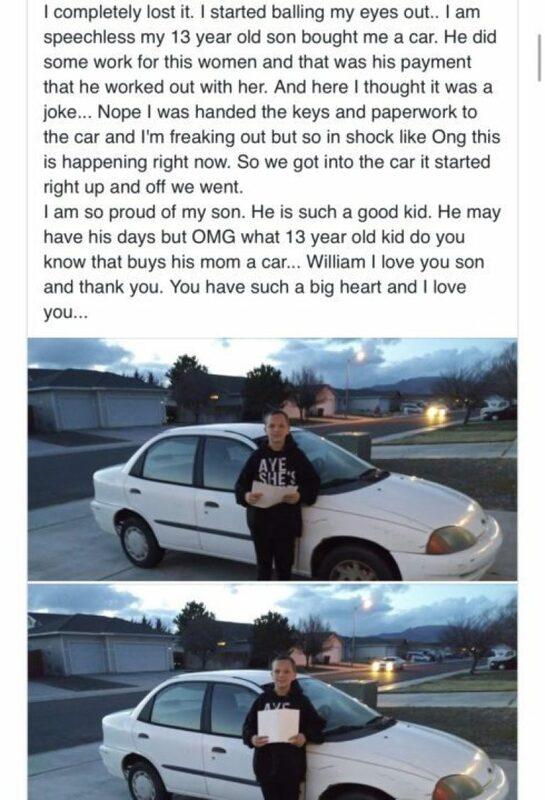 A single mom from Nevada was in “complete shock” after her 13-year-old son bought her a car. 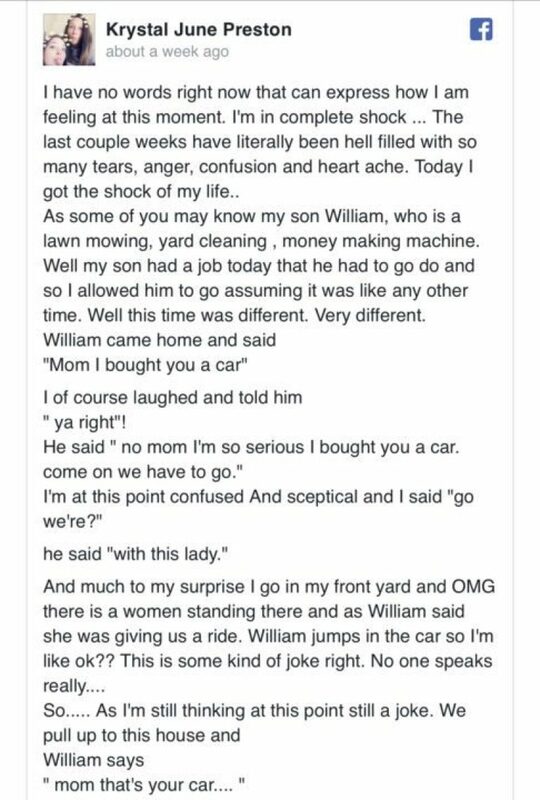 Krystal Preston posted the heartwarming story on her Facebook, sharing that her son, William Rabillo, surprised her with a car. 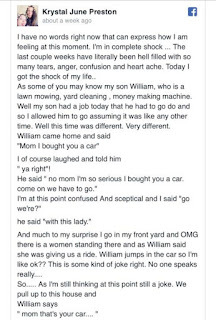 Preston said her son,had been busy mowing lawns and cleaning yards, that’s why she didn’t question the teen when he said he had a job to go do.